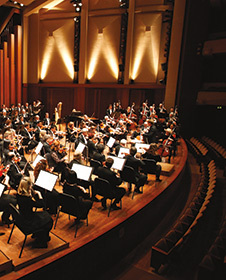 Founded in 1903, the Seattle Symphony is one of America’s leading symphony orchestras and is internationally acclaimed for its innovative programming and extensive recording history. 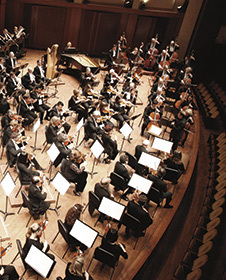 Under the leadership of Music Director Ludovic Morlot since September 2011, the Symphony is heard live from September through July by more than 300,000 people. It performs in one of the finest modern concert halls in the world — the acoustically superb Benaroya Hall — in downtown Seattle. Its extensive education and community engagement programs reach over 100,000 children and adults each year. The Seattle Symphony has a deep commitment to new music, commissioning many works by living composers each season, including John Luther Adams’ recent Become Ocean, which won the 2014 Pulitzer Prize for Music and a 2015 Grammy Award for Best Contemporary Classical Composition. The orchestra has made more than 140 recordings and has received 18 Grammy nominations, two Emmy Awards and numerous other accolades. 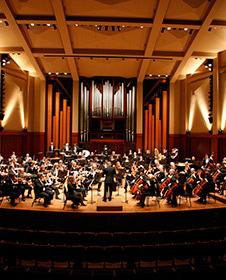 In 2014 the Symphony launched its in-house recording label, Seattle Symphony Media.